Like any other industry or community, those of us that follow the music gear space tend to get collectively swept up in a few key stories every year. While our little pocket of the internet may not be as contentious or high-stakes as others, there will always be some topics that elicit excitement, frustration, dread, and various other feelings. Today, we're going to look back at some of the storylines that captured the imaginations of the music gear world in 2017. In most cases, we've provided links to where you can read more via individual articles from the year. 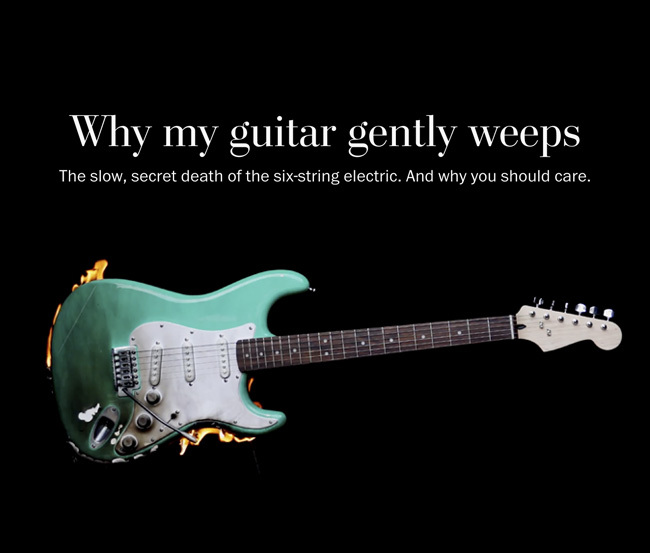 Back in July, the Washington Post published an article titled "Why my guitar gently weeps: The slow, secret death of the six-string electric. And why you should care." The article, at its core, argues that the guitar industry is in peril, with a lack of younger players wanting to play the guitar due to a dearth of guitar heroes within contemporary popular music. 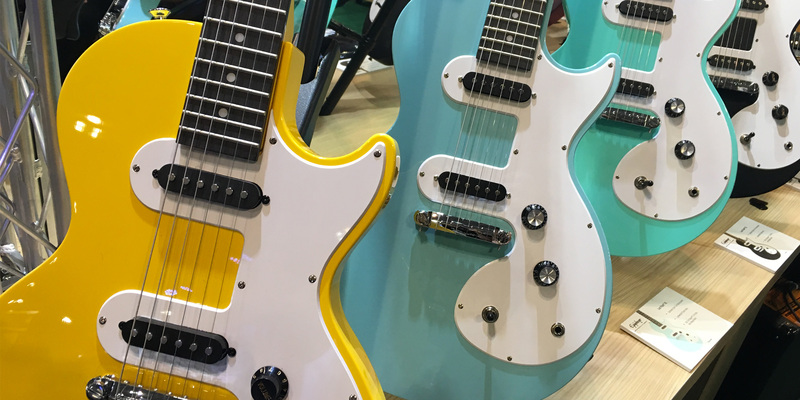 It points to a fall in revenues from some large manufacturers and retailers, and alludes to a general over-extension of supply relative to demand for guitars. Naturally, this sort of doomsdaying caused a lot of discussion within guitar circles, with a number of knee-jerkingly defensive reactions posted in different venues. Thing is, this article was basically correct in its reporting. Bottomline numbers for many businesses in the guitar industry don't look so hot, and clearly, guitar music is less of a presence in popular culture than it has been in years past. Yet while the overarching premise of the piece is certainly valid, it missed a few key points. 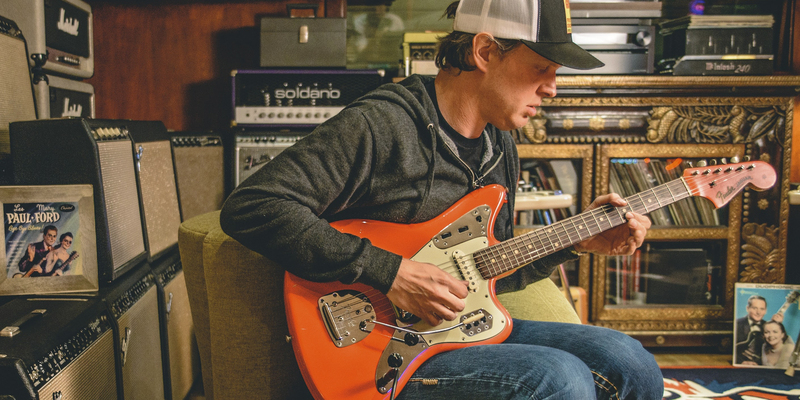 For one, writer Geoff Edgers did not discuss the used or vintage guitar market at all, which, from my perspective here at Reverb, tells a much different story. The same can be said of the growing effects and pedal market, which was not brought up in the article at all. Moreover, the article focused on a somewhat narrow view of what the guitar industry and culture really entails. For more on that issue, I would recommend reading this article from SheShreds magazine which is probably the best rebuttal to the original piece that I have heard or read. 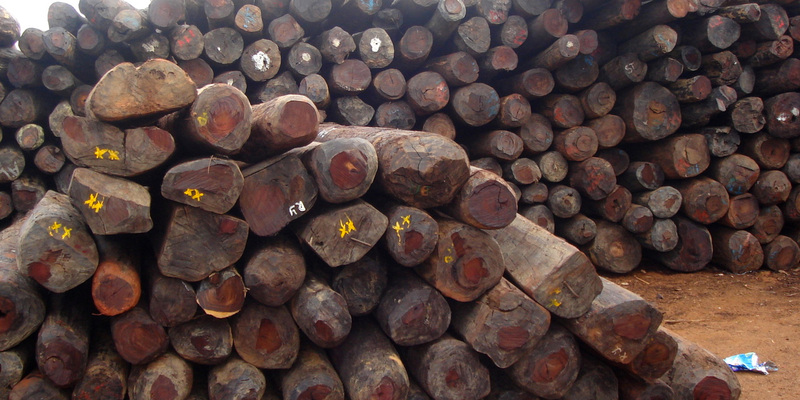 At the onset of 2017, CITES (the Convention on International Trade in Endangered Species) introduced a new set of regulations which limited the international exchange of certain species of wood, including all species of rosewood—an extremely common material in guitar construction. Wood regulations are a confusing subject to begin with, but with this revision especially, the guitar industry and vintage markets were caught largely off-guard on how to cope with the new standards. Several manufacturers introduced new rosewood-free models for European markets, while many sellers of used and vintage guitars scrambled to figure out how to best comply with the new paperwork requirements. There remains, to say the least, a lot of ambiguity on the topic, but one thing is clear: the CITES update confused and frustrated most people who deal in guitars. Every year, it seems as though Ableton Live further solidifies its place as the default music-creation software for contemporary producers. 2017 was certainly no exception. This year saw the Berlin-based firm release Ableton 10 as a public beta ahead of an upcoming full release in February, 2018. Ableton 10 marks the first full-version update since 2013, and brings a number of streamlined features and new instruments. 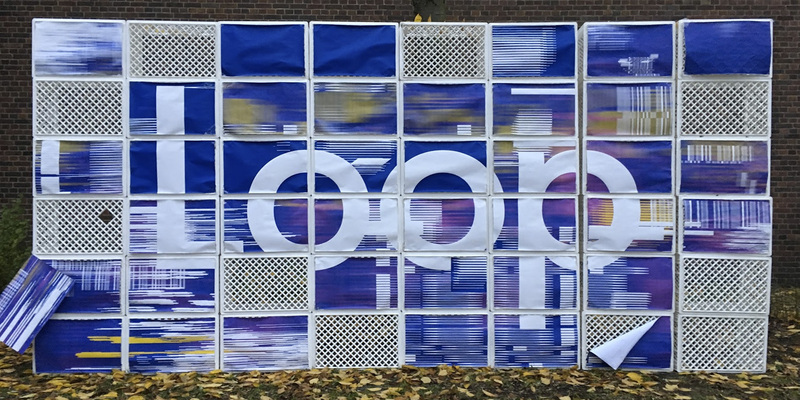 While not new for this year, Ableton's Link collaboration technology expanded this year, while the Ableton Loop conference brought the global community together in Berlin. Early last month, our old pal Joe Bonamassa was quoted in an interview in MusicRadar in which he essentially dismissed guitar pedals and players that rely on them. This off-the-cuff statement was shared around forums and Facebook groups prompting a wide range of colorful responses from general agreement to full-throated outrage. In retrospect, the controversy surrounding the quote was a bit a overblown, and Joe was clearly just having a candid moment in the conversation more than he was really trying to call anyone out. Either way, the comments were copious and vitriolic. For a sense of what that looked like, you can scroll down to the bottom of our original post on the topic, (but please proceed at your own risk). Whether it's adding robot tuners to all their guitars or removing robot tuners from their guitars, people in the gear community tend to watch the business dealings and product decisions of Gibson very closely. As far as Gibson stories we covered this year, two in particular seemed to generate the most interest. The first came when Gibson released a new Custom Shop model called the Modern Double Cut. While a relatively insignificant release, the new body shape initiated an extreme amount of dialogue from guitar people. The second story came in October when Gibson announced the closure and relocation of its factory in Memphis, Tennessee. Also this year, Gibson announced closure of software subsidiary Cakewalk. If you look at any of our year-end lists of best-selling synths, you can see that Korg small-format synthesizers are some of the most popular products of the new analog era. 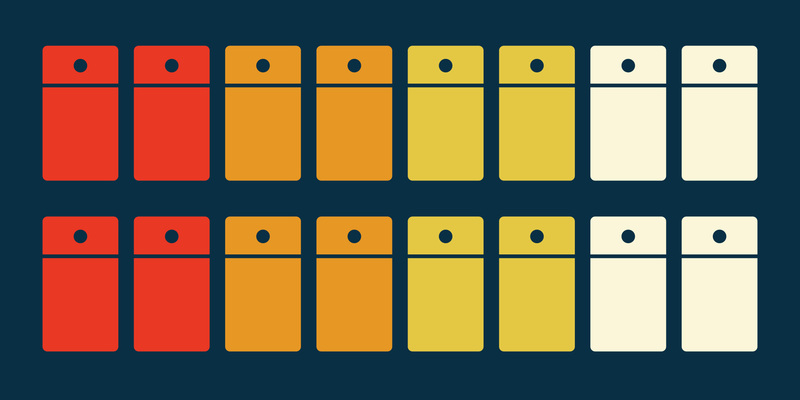 The Volca series, the Minilogue, the Monotron—the list of hit Korg synths goes on and on. Korg's success with this type of instrument is largely credited to engineer Tatsuya Takahashi, who actually spoke with us at NAMM in January. 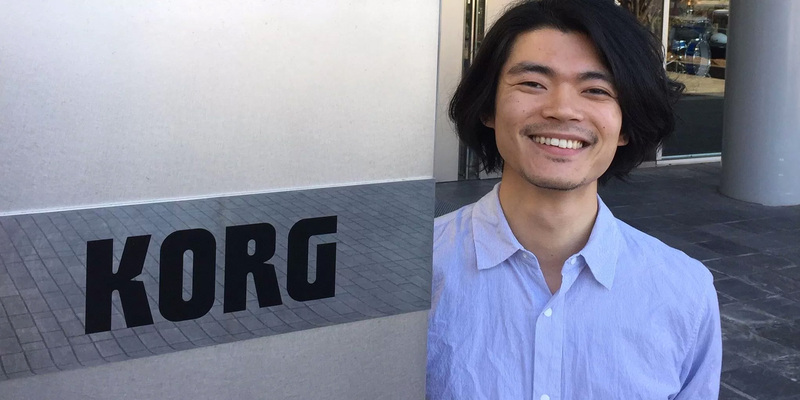 Tatsuya announced this year that he was departing Korg "to explore new areas where sound and technology can have positive social implications" while continue to serve the Japanese maker in an advisory capacity. From here, we'll be keenly interested in seeing how Korg and Korg synths fare in a post-Takahashi world. Chances are we'll get a sample of that at NAMM next month. In October, California amp and pro-audio company Carvin announced its closure after 70 years in the business. 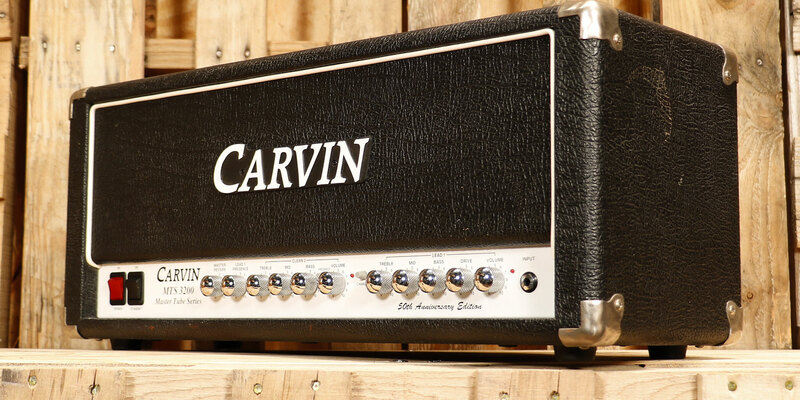 Carvin, which was known for selling its affordable amps and PA systems via a direct mail-order catalog and website, launched a massive liquidation sale, as fans of the brand lamented the sudden news. One key point of clarity, though, is that Carvin Guitars and the offshoot Kiesel brand will indeed remain open and continue their particular breed of metal-oriented instruments. You may have seen some of our artist shops jolt across your newsfeed this year. In 2017, Reverb artist shop highlights included Noel Gallagher and J Mascis, among many others. 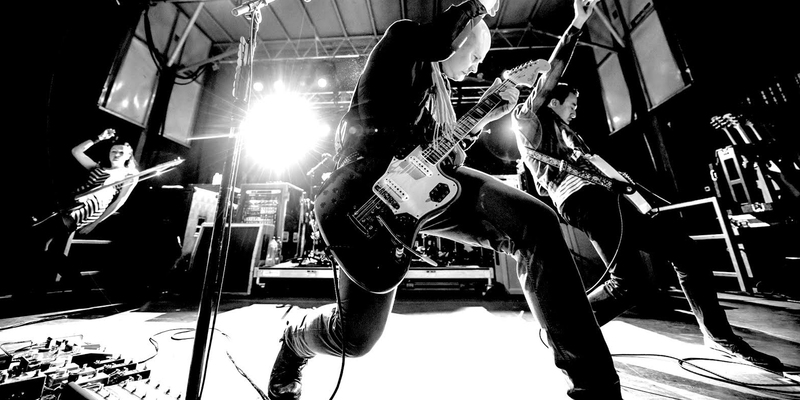 But of all the '90s rock heroes who have launched Reverb shops, none was quite like William "Billy" Corgan. The shop featured more than 150 items from different points of Corgan's career, including a number of guitars used to record the Smashing Pumpkins’ most famous releases. You can take a look at some of what Billy sold here. 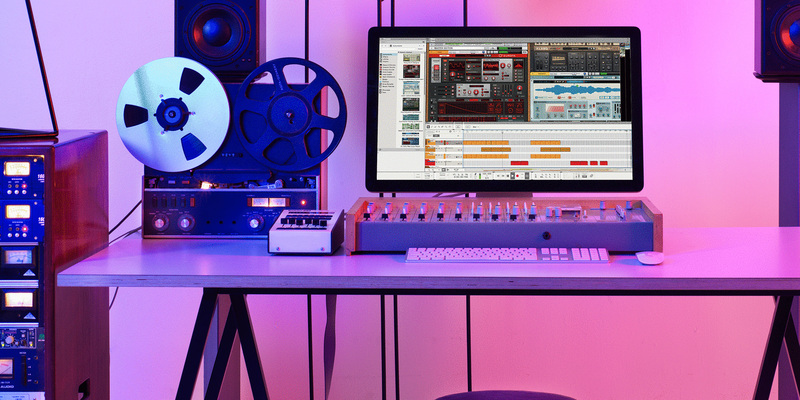 With its visually engrossing digital rackmount interface, Propellerhead's Reason has been a favorite software package of a committed following of producers. For years, though, Reason has remained a closed system with its entire range of features, sounds, and effects coming from its own software. With April's release of Reason 9.5, however, this all changed as Propellerhead announced the addition of third-party VST compatibility. The Swedish company followed this up with the release of Reason 10 in October. You can get the skinny on the updates found in Reason 10 here. At the summer NAMM show in Nashville, we posted a picture of a new $99 Les Paul model at the Epiphone booth. 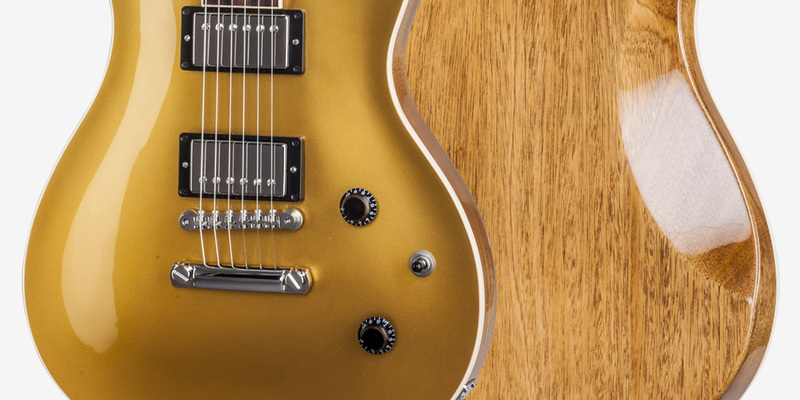 While Epiphone has certainly sold its share of cheap guitars, something about this spiffy new model caught everyone's eye, and seemed to prompt the entire online guitar community to ask: Maybe I should pick one up? Over the past few years, with the increasing popularity of analog synths and analog synth tones, most major keyboard makers have introduced their own series of small-sized analog (or analog-emulating) synths. For Roland, this has taken the form of the Boutique Series. This year, Roland introduced four new Boutique modules, three of which were reissues of all-time classics from the '80s. On August 8 (808 day), Roland launched the TR-08 and SH-01A, which are recreations of the TR-808 and SH-101 respectively. The following moth brought the D-05, a bite-sized version of the D-50 keyboard. This year saw a noted increase in interest and availability of MPE controllers. MPE is a relatively new technology which essentially expands upon MIDI by making controllers more flexible and expressive with three dimensions of control. 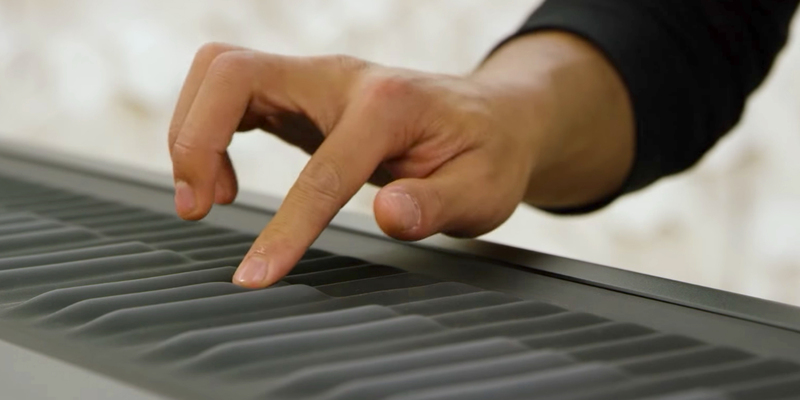 ROLI, one of the key names in MPE, is a good example of how the technology has expanded this year. In June, the British music tech firm announced the Seaboard Block, their most affordable MPE controller yet, while October saw Pharrell Williams join the team as Chief Creative Officer. In close, we'll take a look at a story that hits close to home. Earlier this year, Aaron Miller, the founder of Pro Guitar Shop and Tone Report, tragically passed away, leading to the eventual close of his business. While we at Reverb were deeply saddened by this loss, we were happy to report that Andy Martin, the much-celebrated video demo guitarist for Tone Report, would continue his work as part of the Reverb team. You can see Andy's latest demos and more on the new Tone Report homepage.